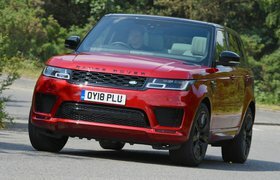 All three cars provide a fine driver environment, at least in terms of the relationship between their seats, pedals and steering wheels. That means you feel at ease on long trips. In most ways, the XC90’s seat is the best, with contours that seem to fit perfectly and an extendable seat squab to aid those long in the leg. It does have the least side support through corners, though. All three come with electric seat adjustment – including for lumbar support in the Sport and XC90. In the Cayenne, you have to upgrade to 14-way seats with memory (£1137) to get lumbar adjustment. For the most commanding view of the road, look to the Sport. While it cocoons you with its large centre console and high-set dashboard, it also has you towering over nearly everything without a Scania badge. The XC90 has the most airy, open feel inside and is pretty lofty, too, while the lower-riding Cayenne might disappoint if you are prone to a bit of traffic jam voyeurism. It’s the toughest to see out the back of, too, with the most restrictive over-the-shoulder view and no reversing camera as standard. The XC90 is easier to see out the back of – unless the third-row seats are in use – while the Sport’s thinner rear pillars make seeing out easier still. You get a reversing camera in both, too. All three have the benefit of standard front and rear parking sensors. 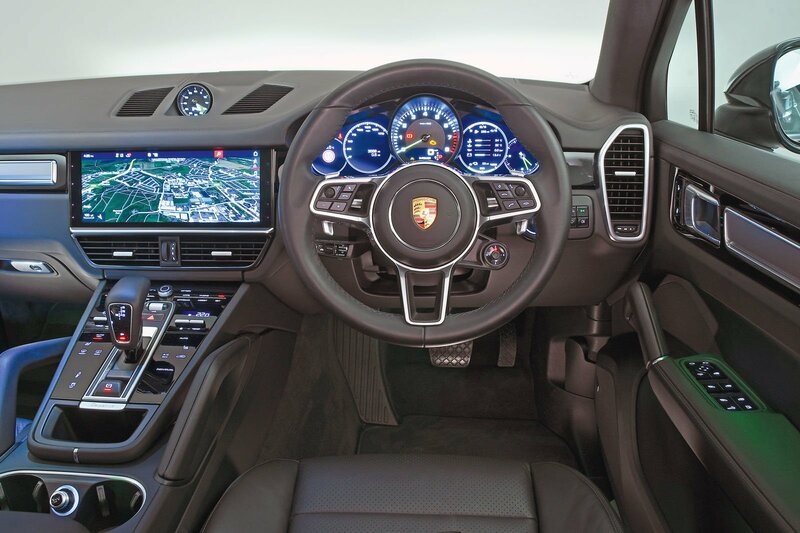 The Cayenne has the most frustrating dashboard layout. Take the stalk for its cruise control, for instance: it’s tucked behind the steering wheel and is a real faff to use. The shallow angle of the central switch panel makes it hard to see, too, and the haptic switches are fiddly to use. Then there’s its small steering wheel. It might seem sporty, but it chops off what’s displayed in the outer reaches of its instrument panel. This, by the way, employs a mix of digital and analogue dials, while both its rivals have fully digital instruments as standard. You do at least get physical switches for adjusting the temperature in the Cayenne; in the XC90, these controls are on the touchscreen. This can be distracting when you’re on the move, forcing you to divert your gaze from the road. In fact, the Sport’s dashboard is the easiest to operate. 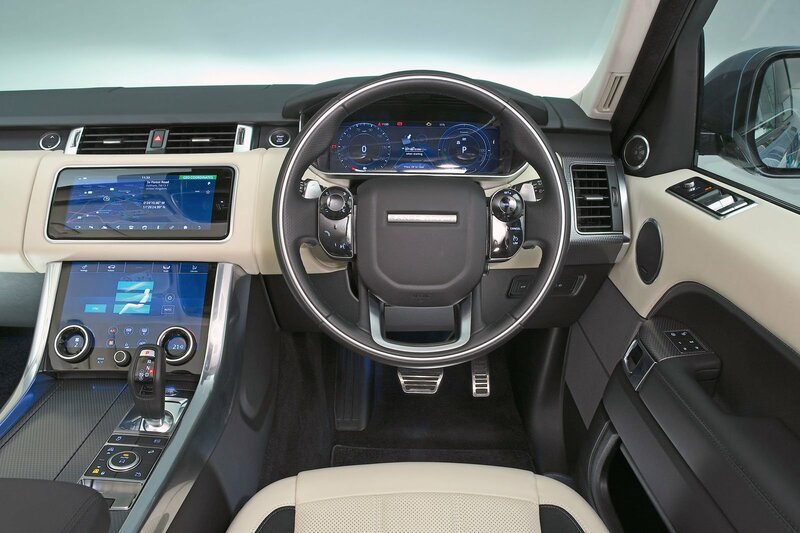 True, some of the climate controls are also on a touchscreen (below the infotainment screen), but it’s angled so you can see it clearly, and it has some physical dials and buttons that are easy to operate while driving. The XC90’s elegant mix of wood, chrome and soft leathers, plus its crystal gear selector, help to create a classy look. But while it feels solid inside, there are a few iffy panel gaps. The Cayenne looks a little dour by comparison, but it’s harder to fault the fit and finish, despite the presence of a few cheap-looking plastics, such as the chrome fittings on the steering wheel. That leaves the Sport to edge it (just) by offering the most wholesome blend of material quality, sturdiness and plushness.